A long exposure of one of the two cascading waterfalls that can be found at Scenic Hudson’s Falling Waters Preserve in Glasco, NY. 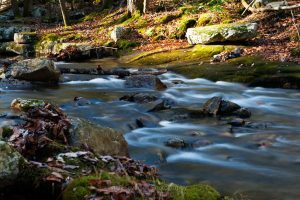 A long exposure of the Coxing Kill at Mohonk Preserve in Gardiner, NY on a December morning. 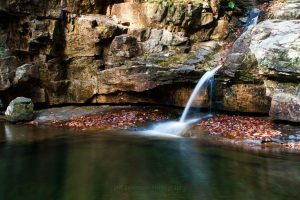 Minnewaska State Park’s Awosting Falls, located in Kerhonkson, NY, is a 60 foot tall waterfall that drops into a wide pool. 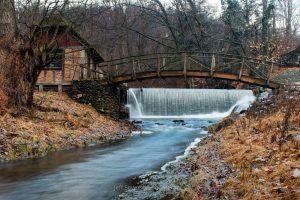 The Gomez Mill, also known as the Dard Hunter Mill, was built in 1912 in the shape of a Devonshire cottage by owner William Joseph “Dard” Hunter. 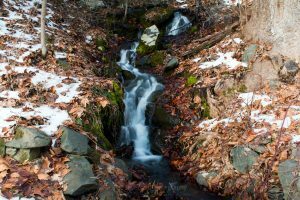 A photograph of a seasonal waterfall along the carriage road at Franny Reese State Park in Highland, NY. 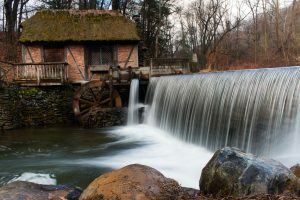 Built in 1912 in the shape of a Devonshire cottage, the Gomez Mill was originally used as a paper mill and is located in the Town of Newburgh, New York. 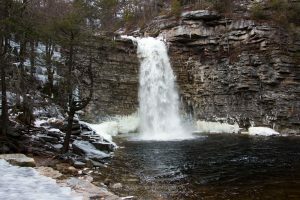 The Awosting Falls at Minnewaska State Park in Kerhonkson, NY is about 60 feet in height and drops into a wide pool. 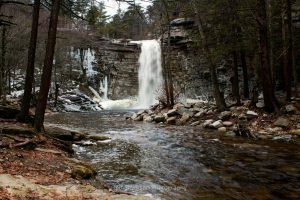 The waterfall is fed by the Peters Kill creak and is accessed via the Awosting Falls Carriage Road. 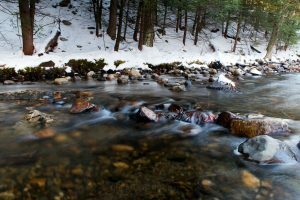 A mid-December long exposure of the Coxing Kill at Mohonk Preserve in Gardiner, NY. 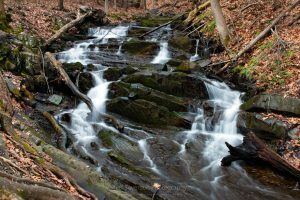 The Coxing Kill is one of many tributaries that flows out of the northern end of Shawangunks and into the Rondout Creek. Another long exposure photo from a slightly different angle of the third of four waterfalls at the Blue Hole in the Cherokee National Forest in Elizabethton, TN. 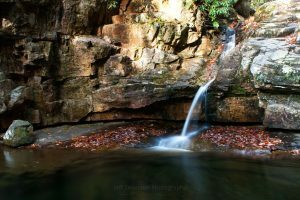 A long exposure photo of the third of four waterfalls at the Blue Hole located in the Cherokee National Forest in Elizabethton, Carter County, TN.